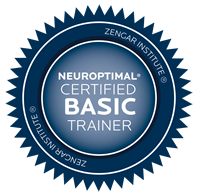 Neurotherapy is a comprehensive healing approach based in the emerging science of brainwave Neurofeedback. Neuroptimal brain training is offered coupled with cranio-sacral release techniques that integrate the new neural patterns while balancing the subtle energy fields into the physical body. eep and addiction problems as it gently re-normalizes the brain in a natural way. Every person has the potential to embody their highest potential. However, underlying patterns from shock and trauma which reside in the nervous system may counter this full expression. While we can work on changing these patterns through physical and talk therapies, the deep, core patterns in the nervous system are ultimately the ones that need to release. Neurofeedback helps to clear these patterns, sort of like "shaking out the carpets". You can clean your whole house and re-arrange the furniture, but until you shake out the carpets, the foundation won't be clear. Neurotherapy supports the entire central nervous system to become more efficient, resilient, and flexible bringing it into present time awareness. In the process, it provides an experience of deep relaxation, a spacious grounded quality of presence as shock and trauma release and issues begin to fade away. When your brain functions and adapts efficiently, you feel confident and joyful, more integrated, present, whole and effective in your personal and professional life. Given the right information, every brain has the potential to optimize itself. In Neurotherapy, I include hands-on bodywork in order to facilitate a sense of being grounded and more fully Embodied. There's a sense of being centered and integral in one's own being and a certain clarity within the emotional and mental fields allowing one to be present with "what is" which includes less reactivity, and a greater ability to engage and respond. That is empowerment. The experience when I put my hands on people after the Neurofeedback training is that their fields are much more responsive as the neurophysiology begins to open and free up. The "fight/flight and freeze response" can release out of the nervous system; the brain is then able to access more of its inherent resourcefulness and engage in the creative brain-mind expansion and self-creation from a state of dynamic balance. As neuroscientist Rick Hanson likes to say, "the mind is using the brain to create itself". In the end, we are essentially affecting the greater Mind or Self from the ground level up. "I am quite wholly changed in a more authentic, embodied and integrated way. Consciously, I am far more mindful, clear and connected. Neurotherapy has turbo-boosted my experience of life in the present moment." "Along with the energetics of the cranio-sacral session, I experienced a cascade of somatic release and felt grounded in a deep state of presence and heightened awareness. I recommend this to anyone who is committed to raising consciousness."